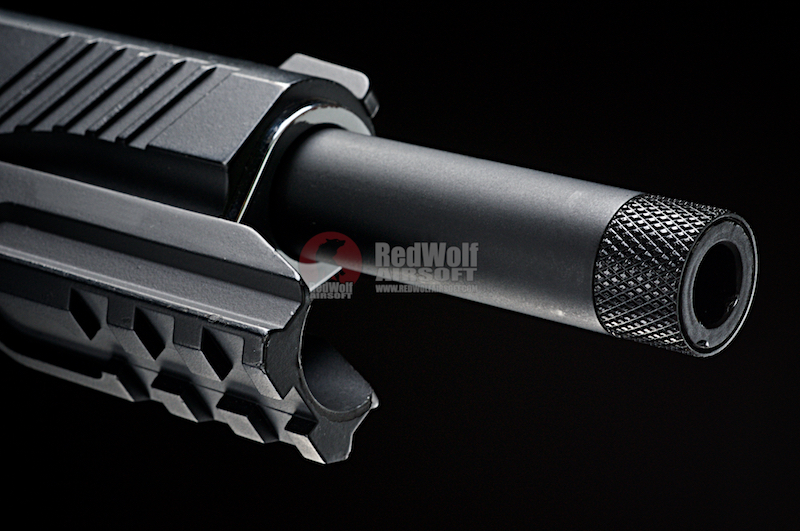 The RWA Threaded Outer Barrel is not just your ordinary outer barrel, it's something rather beautiful. Its made out of high quality die-cast aluminum which gives it that texture and extra durability. 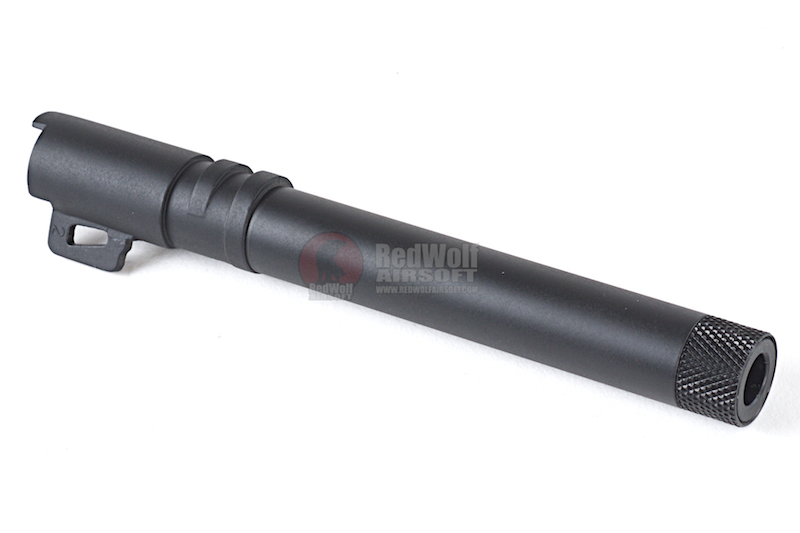 Something that will catch your attention is the 14mm CCW threaded outer barrel, which gives your 1911 a wow factor. 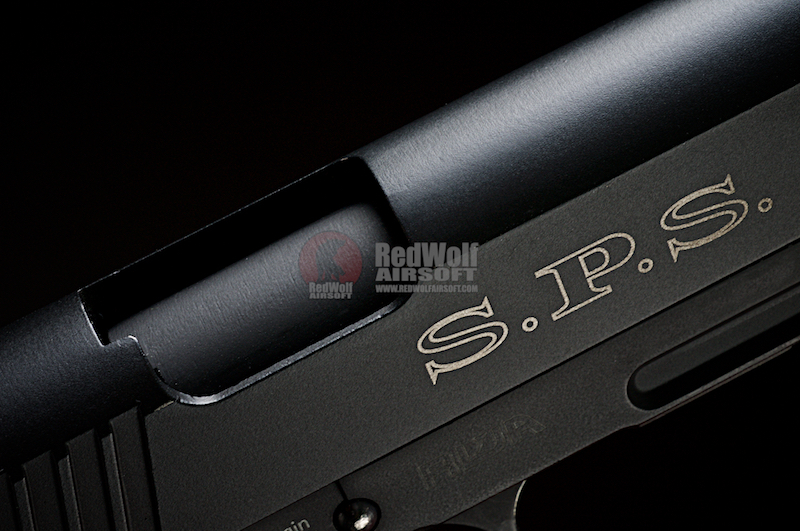 Not just only making your pistol look pretty you can also attach a suppressor on it for a tactical advantage. Really simple and easy to install anyone can do it, if you do have trouble check out the video below how to install it. 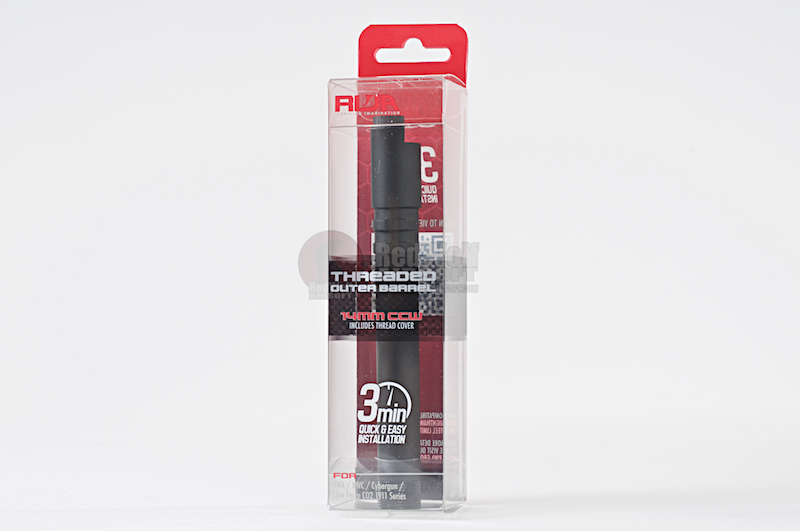 Designed to fit on most 1911 such as RWA / KWC / Cybergun / Elite Force CO2 Series. 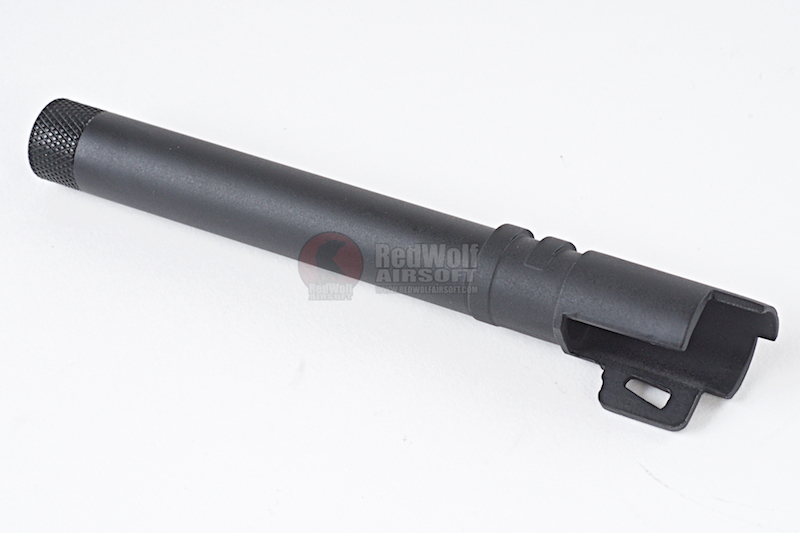 Careful this is not compatible with RWA Nighthawk GRP Recon CNC Steel Limited Edition or real steel.